If you are looking to have some fun this summer at one of Canada's many attractions or amusement parks, make sure to check out the deals that Mac's Convenience stores in Canada have going on right now. 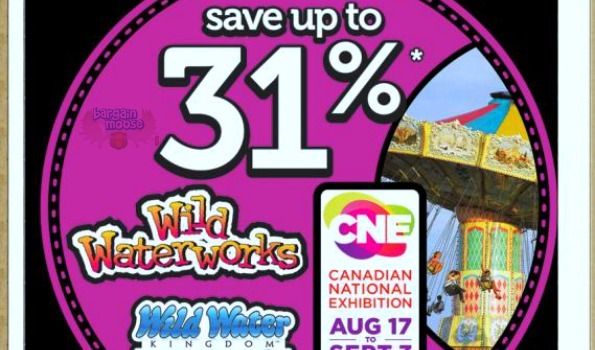 Save up to 31% on many of Canada's attractions. You cannot buy these ticket online unfortunately, but all Mac's Convenience stores across Canada are participating in this promotion. You can avoid the huge lines at the parks and buy the tickets in advance for a better price than the parks are offering. We have done this many times with theater tickets throughout the year and saved some money. Some of the attractions you can do are Canada's Wonderland, Wild Water Works, the CNE and more. This is a great chance to plan a fun family trip and save money while doing it.